This post is part of a virtual book tour organized by Goddess Fish Promotions. SM will be awarding a Tarot Doll of their choice to a randomly drawn commenter (US/Canada Only) during the tour More information: http://www.smblooding.com/ht1-order-tarot-doll-autographed-book/. What she didn’t take into consideration was that maybe he was too strong for her. Maybe. The Families aren’t. They’ve been weakened, and it’ll take a lot more than one young man with a powerful Mark to take on the Hands of Tarot. 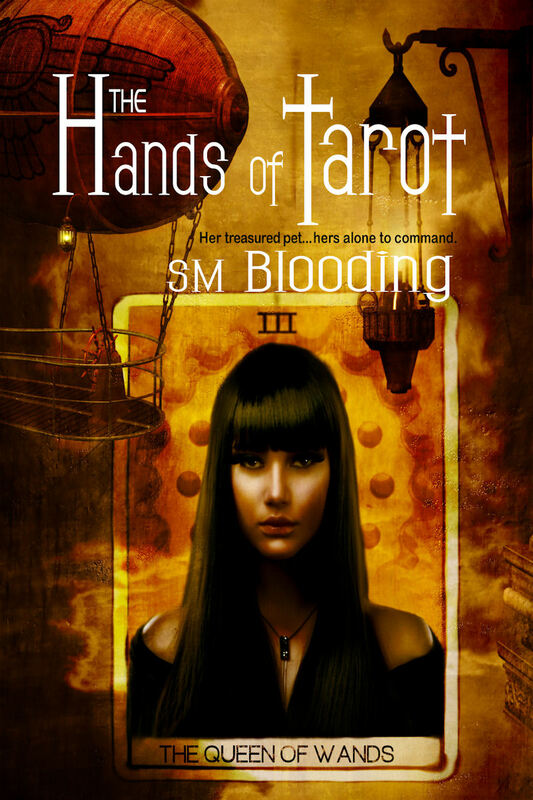 SM Blooding is a new author to me, but this is definitely not the last book I'll read by her. Synn El'Asim is a powerful character--the reader sees him grow from a young man who has not yet come into his power to a strong man who is courageous enough to fight for what he believes in--his family and his people. The world building Ms. Blooding does is nothing short of remarkable. A world composed of flying ships, ice worlds, danger, and intrigue. I look forward to reading the next installment in the series to see how Ms. Blooding plans to get Synn out of the predicament she leaves him in. Nice cliffhanger! About the Author:SM Blooding lives in Colorado with her pet rock, Rockie,and their new addition, Mr. Bird, who’s a real bird. She likes to hike the beautiful Rocky Mountains, and is learning to play the piano and guitar. Currently, she’s trying to MURDER them both. Friends call her Frankie. Thank you so much for your review!! I really appreciate it and I'm glad you liked it! EEEKKK!! Book 2 draft 1 is done! It's time to edit, but the story is so good! I can't wait to hear what you think of it.